W.J. Green Lodge Reserved Picnic Shelter is an enclosed shelter with an attached open shelter. Swings, a volleyball court, large playing field and access to hiking and physical fitness trails located next to a river make this a perfect place for a picnic. W.J. 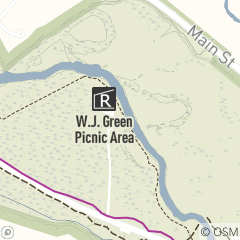 Green Picnic Area is located off Valley Parkway in Mill Stream Run Reservation, just south of South Quarry Lane and north of Eastland Road in Berea. Availability: Reservable year-round, daily. For reservations or more information call 216.635.3304 Monday through Friday, 8:30 a.m. -- 4:30 p.m.